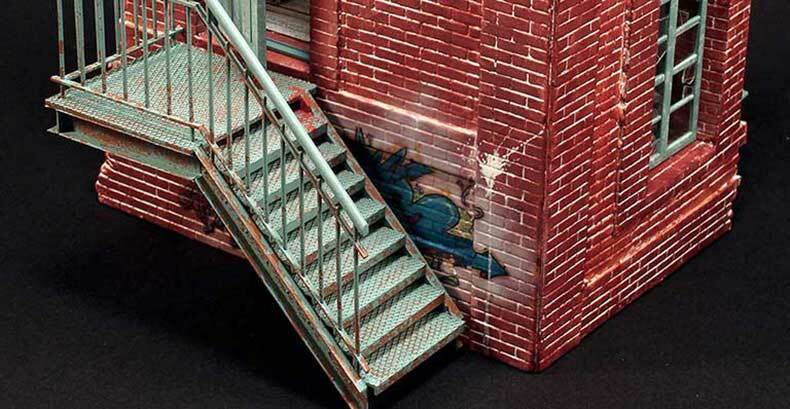 Waterbased Medium to create flaked paint, scratches and chipped paint. 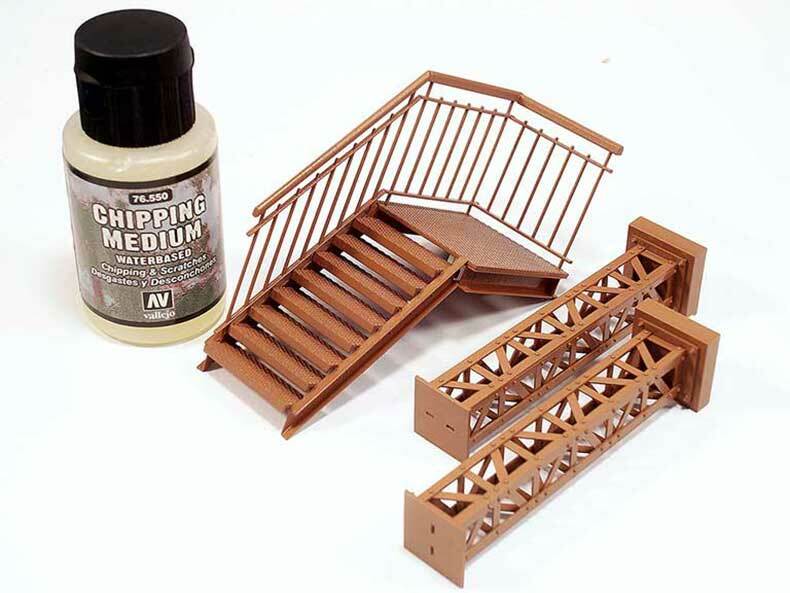 The product can be applied with airbrush or brush to create chipping effects with waterbased acrylic colors. 1. 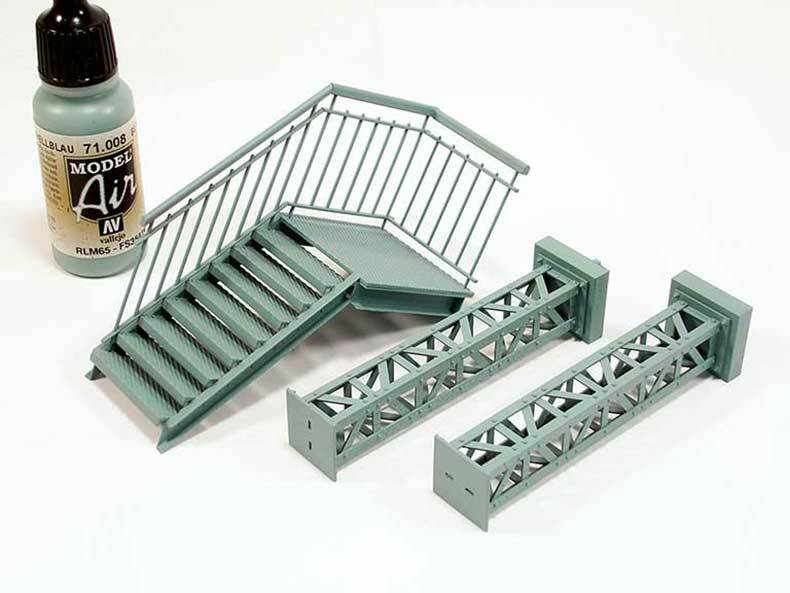 The parts of the model are primed with Surface Primer 70.605 German Red Brown. 2. 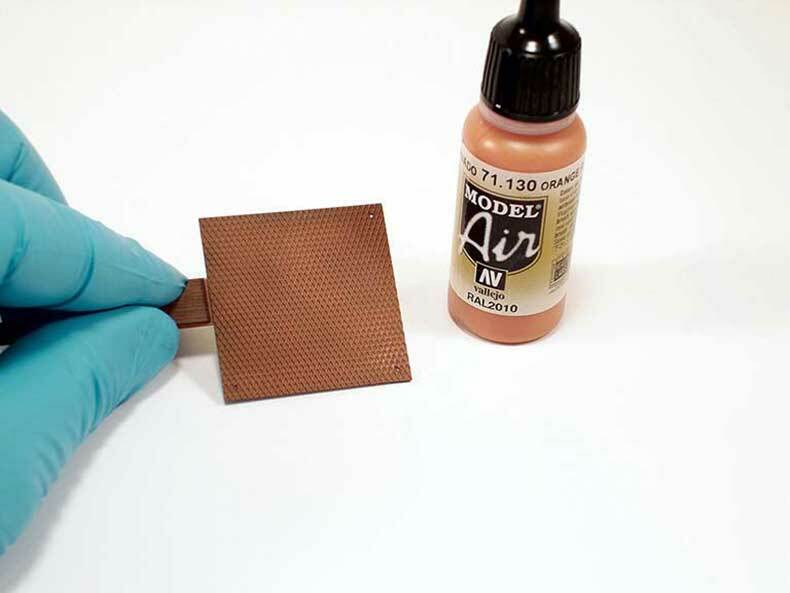 Once the primer has dried completely, the model is painted in Light rust 71.129 and Orange Rust 71.130. 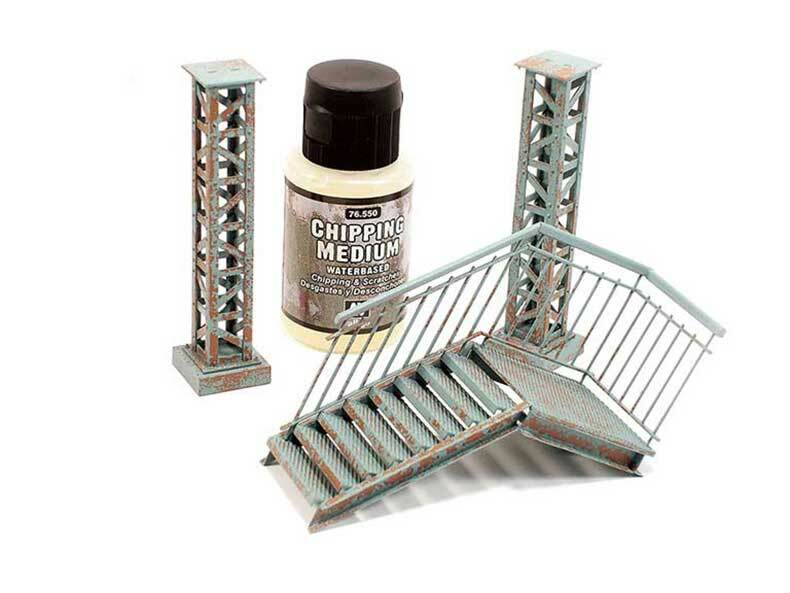 Both colors are ideal for representing the rust underneath the final paint layer. 3. When the rust colors have dried completely, a coat of Chipping Medium 76.550 is applied. 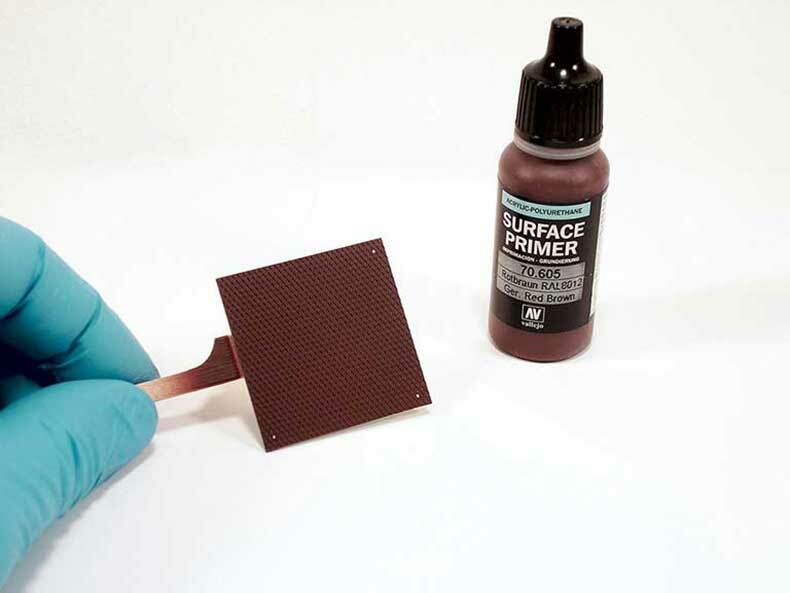 This product, a water based solution, slows down the drying of the next, final color. The Chipping Medium must be allowed to dry for about 30 minutes. 4. Once the Chipping Medium is has dried, the top color will be applied on the model. In this case the parts are painted with Blue 71.008. 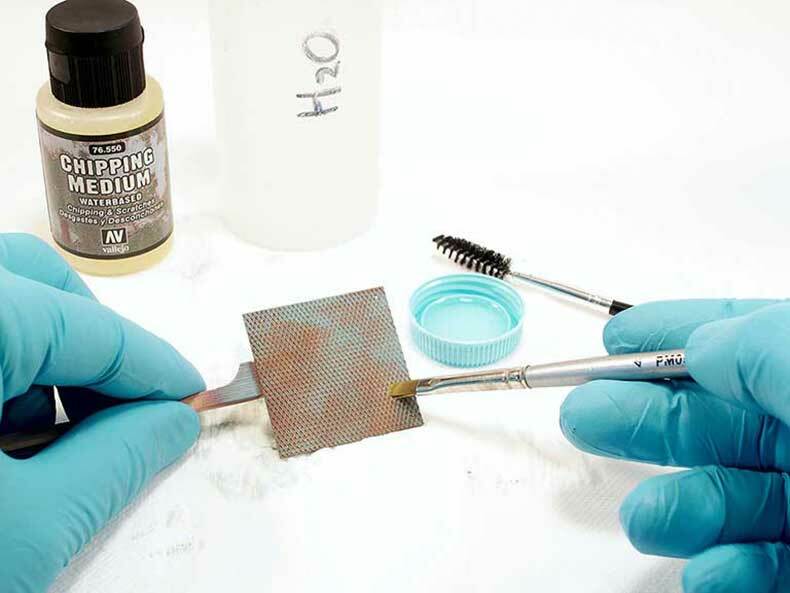 When dry, this color will be scratched to show the rust underneath. 5. Due to the application of the Chipping Medium, the top layer of Blue 71.008 dries more slowly and can be easily scratched or peeled and flaked off with a tooth pick or other sharp object. 6. When the chipping has been completed, a final application of protective varnish can be airbrushed to protect the model before the weathering process.